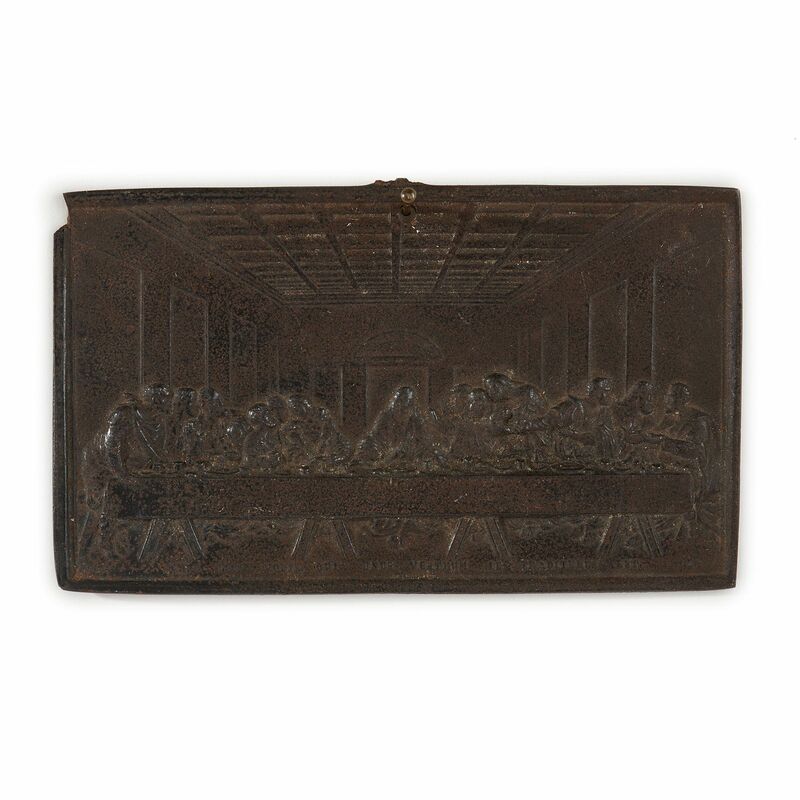 These three antique iron plaques, finely rendered to evoke a Renaissance style imagining of Biblical and Classical scenes, make a truly unique trio. 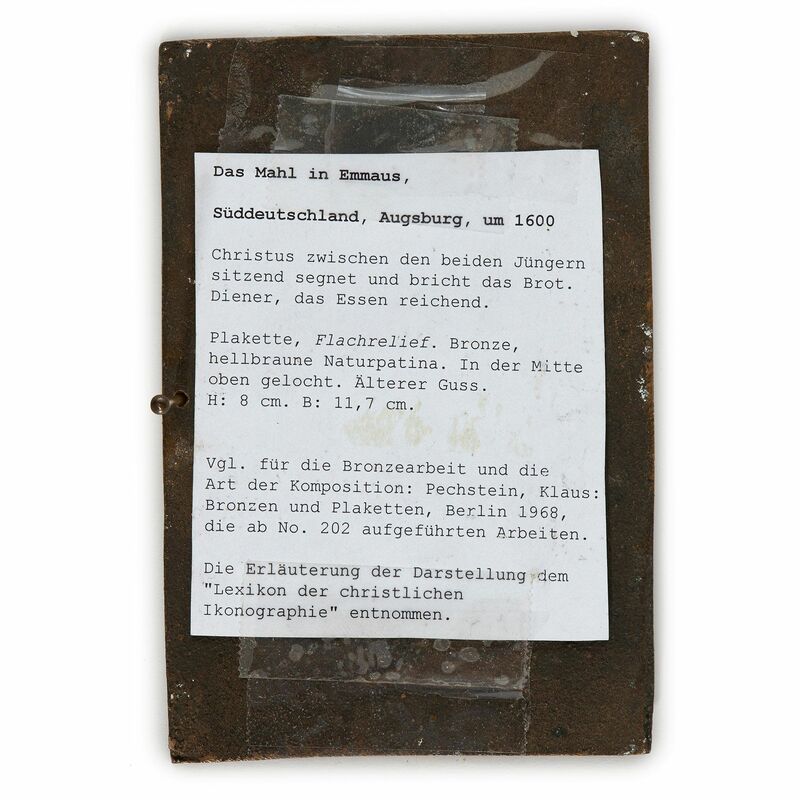 Each iron relief plaque with traces of black paint; all three with a German label on the reverse. 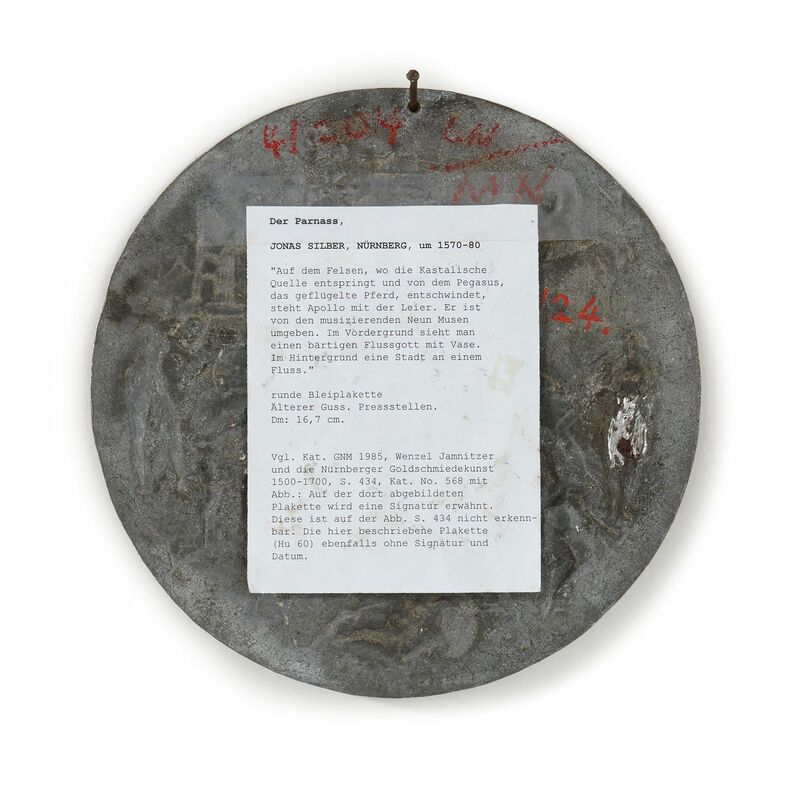 Catalog "Eisen statt Gold, Preussischer Eisenkunstguss aus dem Schloss Charlottenburg, dem Berlin Museum und anderen Sammlungen", 1982/83; p. 83f. 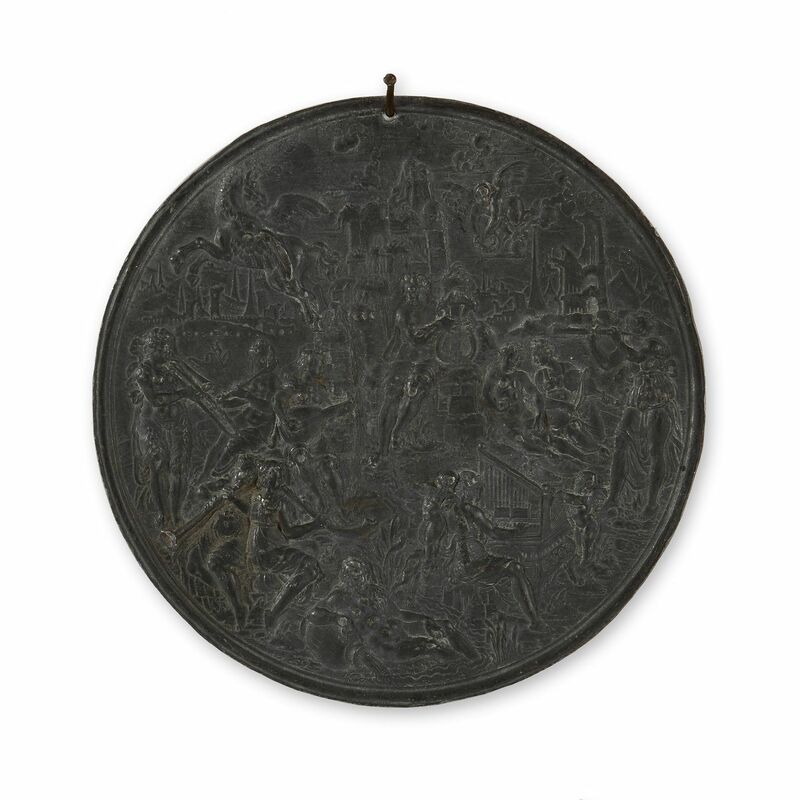 LEAD PLAQUE, Renaissance, after J. SILBER (Jonas Silber, maitre 1572), Nuremberg circa 1570/80. Apollo with lyre at the Castalian Spring. D 16.7 cm. 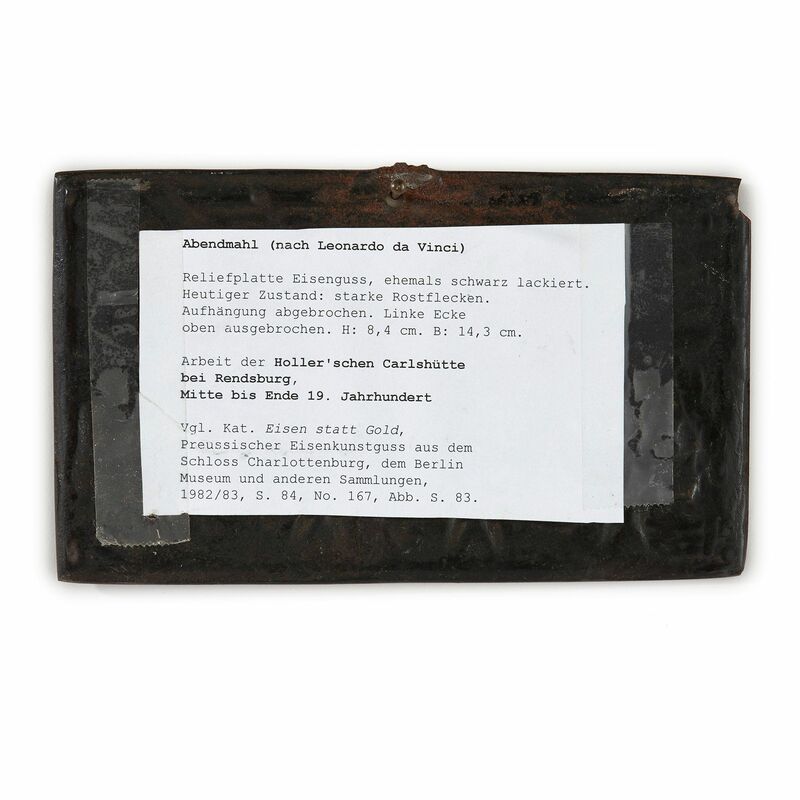 Catalog "GMN, Wenzel Jamnitzer und die Nuernberger Goldschmiedekunst 1500-1700", 1985; p. 434. 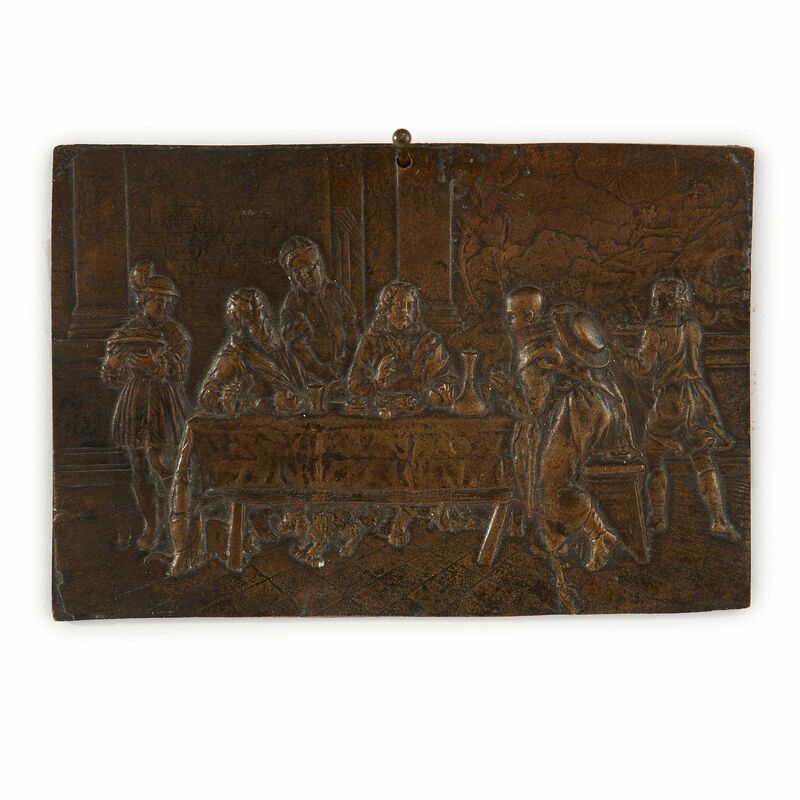 BRONZE PLAQUE, Renaissance, Augsburg, in the style of the16th century. Patinated bronze. Christ and his disciples having supper in Emmaus. H 8, W 11.7 cm. K. Pechstein, "Bronzen und Plaketten", Berlin 1968; from No. 202.